Please select the ribbon # (see pictures for options, #1-19) Standard ribbon is the green ribbon with leaves. 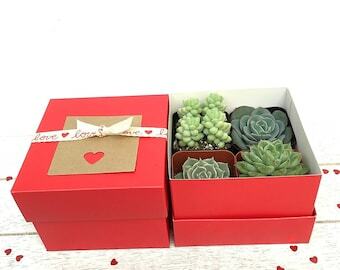 Succulent DIY kit in a gift box. Send directly to a friend, they'll love it -Perfect little gift for any occasion (perhaps a graduation...)! We can ship 2 or 3 succulents with terra cotta pots - your choice, select at checkout. - Variety of 2 or 3 rooted succulents - may vary from picture, but always a beautiful combination. Succulents are 2-2.5" in size. - 2 or 3 mini terracotta pots. Each pot is approx. 2.5" tall and 2.5" wide (top). All wrapped up in a Kraft gift box (6"x6"x3.5"). Box is tied with your choice of ribbon, scroll through the listing pictures for ribbon options. Standard option is the green ribbon with leaves. All ribbons are 1.5" wide. My best friend received her gift today and loves the succulents. I saw pictures of the beautiful packaging and the succulents which are lovely. Thank you for helping to make her birthday a special one. My friend loved her gift! It shipped quickly and they communicated every step with me! This is my second time ordering - I've had a great experience both times. Shipment was perfectly on time. Nice product. Great gifts! This item is great! It came beautifully packed! 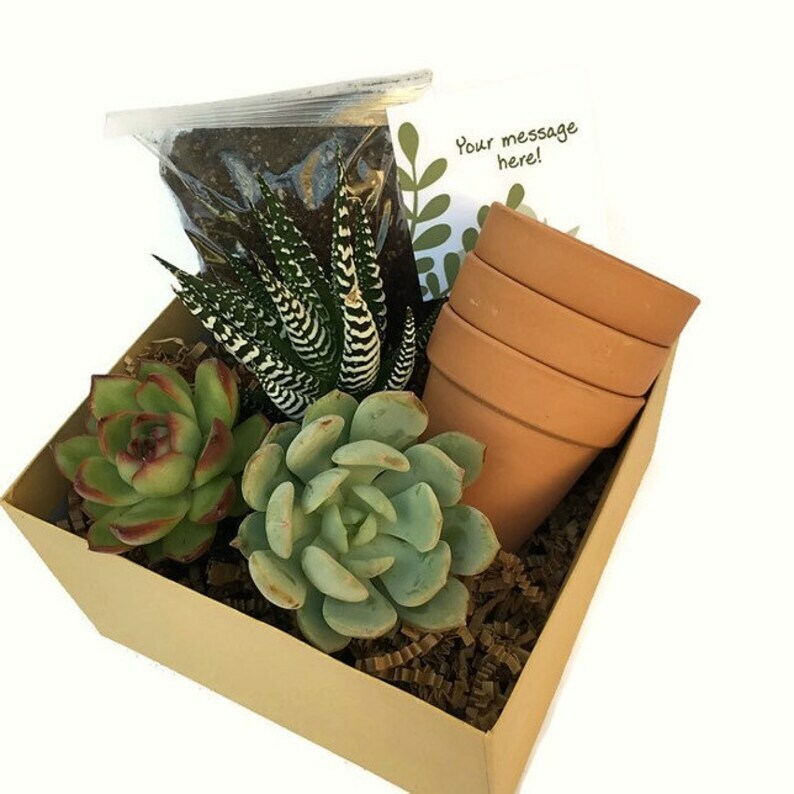 Its a fun interactive gift for any plant lover!